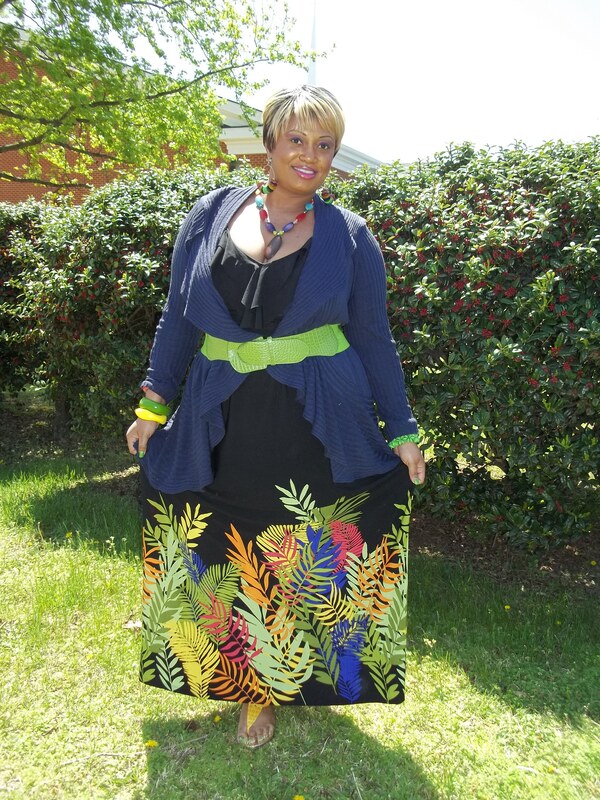 Since today was Palm Sunday I decided to wear this leaf print maxi from City Chic. It is my latest shipment from them. I ordered it Wednesday and received it yesterday in the mail. I just wore my other maxi from City Chic on Friday and I was so impressed with the quality of their clothes that I couldn’t wait to pull this one out today. It was a little chilly early this morning so I topped off the maxi with a cardigan and belt. This is a wonderful dress for church or any other social occasion. It falls perfectly to the ankle and the jersey material flows great on the body. Best thing is this leaf maxi is on sale now for only $30. 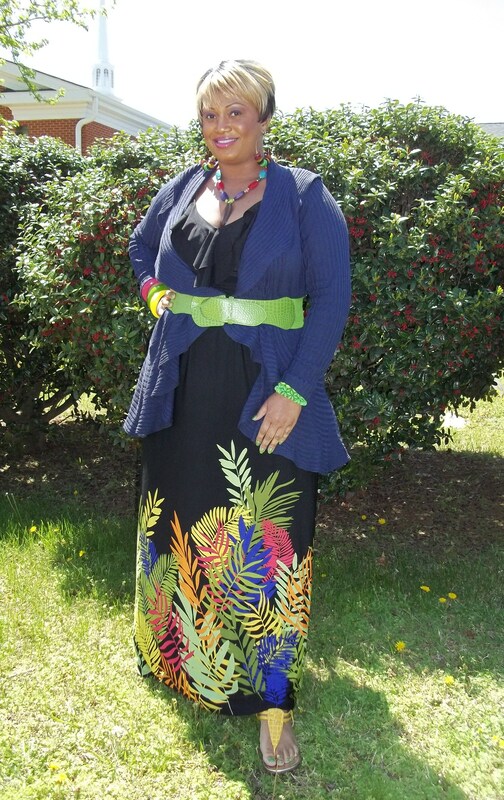 The colors of the leaves are very vibrant and you can accessorize this dress perfectly with colored jewelry and shoes. I’ve been eyeing that dress for about a week now, hoping that they would restock my size. It looks really lovely on you.